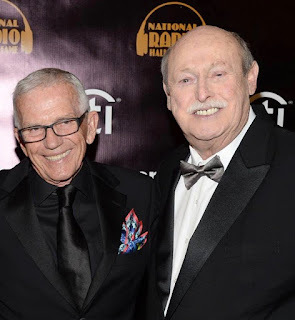 San Diego, CA – October 13, 2014 – NEWS RADIO KOGO 600 (KOGO-AM) has announced changes to its on-air lineup as part of its expanded news programming, effective Tuesday, October 14, 2014. KOGO will now deliver more local news with in-depth conversation to the San Diego market each weekday morning, midday and afternoon along with traffic every 10 minutes and the area’s most dependable weather forecasts. The station will offer deeper analysis and discussion about stories that matter most to San Diego and the Southern California region. KOGO features a team of award-winning news anchors, reporters and editors, led by veteran News Director, Cliff Albert, who will also anchor KOGO’s News at Noon. San Diego’s Morning News will be co-anchored by LaDona Harvey and Ted Garcia and with insight on the top stories of the day, Marilyn Hyder and Ernie Brown will co-host KOGO’s Afternoon News. “News Radio 600 KOGO’s commitment to news programming is unparalleled in San Diego County. We have assembled a fantastic lineup that will keep our audience informed on-air, online and through social media platforms," said Brian Long, Program Director, KOGO. Congrats to Marilyn! San Diego weather has to a bit better than in AZ! Given that KOGO had all but abandoned real news coverage in favor of outsourcing their reporting to Los Angeles, and filling their lineup with meaningless talkshows, it's nice to hear that they're trying to restore their credibility, and provide an actual service to this city the way they used to. The ratings don't lie -- KOGO abandoned San Diego for years and, in return, San Diego abandoned them. I heard that Merrill is heading to afternoons at KFYI-AM in Phoenix. Switched to 1170 which I found by accident when I couldn't find Merrill. The news shows are both boring and on repeat. Too bad, been listening to KOGO for years. New move doesn't work for me. Good luck. Wow! You think KcBq is gonna fill your bill? Many times, they record their traffic report and run it for a couple of days. KOGO's change is sooooooooo boring! I used to enjoy Merrill on my way to work and this constant repeat of the same news is awful. Until something changes at KOGO I will be listening to Armstrong and Getty in the morning and Roger driving home! It must be difficult to put on good programming that captures a big audience, but things started going down hill when the moved Merrill from afternoon drive time. Sully is bore and I am glad he is gone from drive time, but this morning I tired of the low energy level and for the first time started checking out other stations. So far KFI seems to have the most captivating programming, but I wish it was san diego local. I tried KFMB but couldn't keep track of who was talking because it sounded like a small mob. I know everyone wants something different, but I think we all want to laugh now and then. I give this format till the next book comes out and when their in close to last place they change again.